PULASKI – The Salmon River International Sport Fishing Museum will host a “Fishing and Camping Show and Sale” June 6 and a “Celebrate Fishing Show and Sale” on June 13. 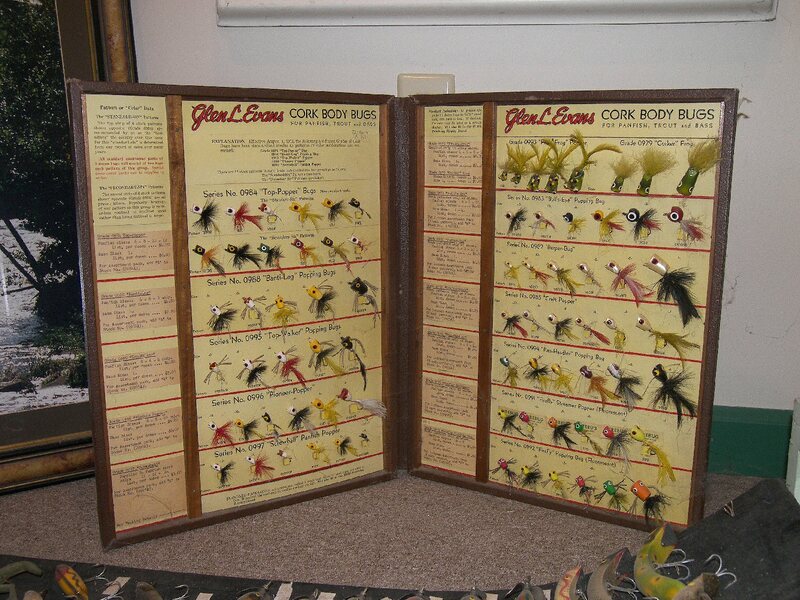 A variety of fishing equipment, including these vintage bugs manufactured by the Glen L. Evans company, will be displayed at the Salmon River International Sport Fishing Museum fishing and camping shows June 6 and 13. The museum is located on state Route 13 east of Pulaski. Vendors, volunteers and people interested in all aspects of fishing are welcome to participate in both events. Both shows run from 10 a.m. to 4 p.m. Located at 3044 State Route 13, east of the village of Pulaski, the museum and visitor center is located on 10 acres of land with a pond and fishing access to the Salmon River. “We are looking for vendors and individuals who would like to participate in either or both events,” said Museum Director Mike Riordan. 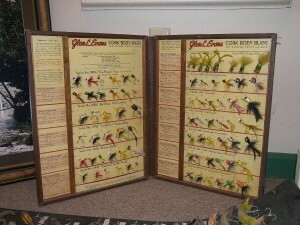 Riordan said the June 6 show will focus on vintage tackle, campers, boats, canoes and related items. People are invited to display and sell any items related to fishing and camping. Volunteers are invited to present seminars on specific equipment manufacturers or other topics, and help with a discovery auction. At the June 13 event, volunteers are invited to display or demonstrate the latest fishing tackle, present seminars on specific fishing skills or techniques, teach children how to cast, spool a reel, tie a fisherman’s knot and other skills, help with kids’ fishing seminars, and demonstrate fly-tying, casting, equipment, taxidermy or related topics. People are welcome to rent space to sell or display their items under the museum’s vendor tent or rent tent space at both events. Prices are $30 for a 10 by 10 foot space, and $50 for two spaces. For those providing their own tents, the cost of a 10 by 10 foot space is $20. The museum is accepting donated items for raffles and a silent auction. Snacks and beverages will be available on the site. Tent space is limited for both events. To reserve a spot, make checks payable to Salmon River International Sport Fishing Museum and mail to 3044 State Route 13, Pulaski, 13142.